Ten months into the Pretrial Enforcement Division’s existence, Leah Van Kirk is still working to inform people about exactly how the service works. Van Kirk, the Southeast pretrial enforcement supervisor, spoke Wednesday at an event organized by the Juneau Reentry Coalition to answer questions and continue to clear up misconceptions about PED. The program assigns officers to monitor defendants as they await trial. It’s hard for people to wrap their minds around the service, Van Kirk said, because nothing like it has existed before. “Never before in Alaska was there someone assigned to supervise somebody’s conditions of release. 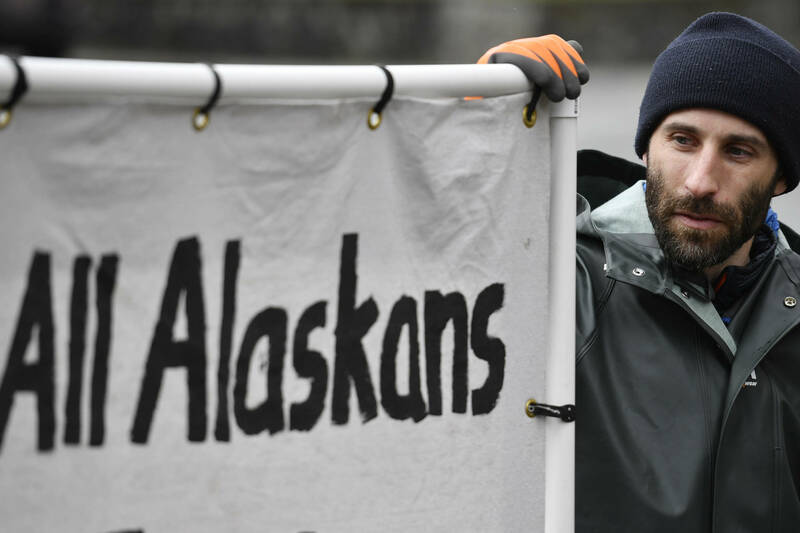 … This is a huge change in Alaska right now,” Van Kirk told the group. She said PED has a few main goals, including getting more defendants to show up for their court dates, keeping the community more safe, setting more appropriate bail amounts for defendants and reducing recidivism in the long run. When someone is arrested, he or she is assessed by pretrial officials on whether they should await trial in or out of jail. Based on this assessment, a judge makes a ruling about whether a defendant should stay in jail or not. Allowing people to await trial outside of jail, Van Kirk has said, allows defendants to keep going to work and keep caring for their families. Most people who are released are in the “low-risk” category, meaning there’s a low risk of them committing another crime or missing their court date. Van Kirk showed statistics from a 2013 study into the long-term effects of pretrial programs. If a low-risk defendant is held for more than 24 hours, the study showed, that defendant is 40 percent more likely to commit a new crime before trial than if they had been held for less than 24 hours. Van Kirk pointed out that PED officers also work closely with defendants to help them find housing or treatment if they don’t already have those kind of support systems. Things haven’t always worked out perfectly, as evidenced by the recent escape of Buck Robert Mills. Mills escaped from PED officers in Juneau and took off his electronic monitoring device on Oct. 9. As of Thursday afternoon, Alaska State Troopers were still searching for him. Some around the state have pointed to instances like this as signs that the system is flawed, but Van Kirk said many employees in the criminal justice system have been pleased with how PED is working so far. Derek Johnson, who works as a sergeant at Lemon Creek Correctional Center, is now the co-chair of the Juneau Reentry Coalition along with Teri Tibbett. Johnson said in an interview at Wednesday’s meeting that the process of learning someone’s conditions of release is more streamlined now because of PED. Johnson also said the program seems to be serving defendants well, and that the less time that low-risk defendants can spend in prison the better.